If you're running an online business, or even if you just use a blog or Web site to support your off-line business, you may have unnecessary exposure to liability. If you haven't filed the proper paperwork with the U.S. Copyright Office, you may not be able to avail yourself of the important so-called “safe harbor” provisions of the Digital Millennium Copyright Act. Under the safe harbor, webmasters and site owners are insulated from liability for material uploaded on their sites by users, if they act swiftly and appropriately in response to DMCA takedown notices. But, the law requires compliance with certain formalities before the safe harbor provisions will be applied to your site. Until you've jumped through the hoops set up by the law, you're exposed to full copyright infringement liability as a vicarious/contributory infringer. Fortunately, it's fairly easy to comply with these formalities. The most complex component involves designating an agent to receive notice(s) of copyright infringement, and to respond expeditiously to notices of allegedly infringing material. The designation of this agent needs to be registered with the copyright office on a special form, and the filing fee is just $105. It's surprising, therefore, that so few sites bother to register. Designating your DMCA Agent is simple. Visit the copyright office website and download the form, entitled “Interim Deignation of Agent to Redeive Notification of Claimed Infringement”. Once completed, send it with a check or money order for $105. You can register multiple domains with the same form, with an additional cost of $30 per ten domains. Should you register a DMCA Agent? If there's any chance at all that a user of your site will upload copyright infringing material, the cost of registration is some of the cheapest insurance you can find. If you've got a blog that accepts comments, or a forum where users interact, it's probably worthwhile. Even if you moderate your comments and forums, you could miss something, so the protection of the safe-harbor has value. It's important to note that content posted by the operator of the site (that's you, or your employees, agents, etc.) is not subject to the DMCA's safe-harbor provisions… So it's critical that you take steps to ensure that your content doesn't infringe other people's copyrighted material. Although registration of a DMCA agent is relatively easy, many of our clients enlist our aid, and it's a service we're glad to offer. 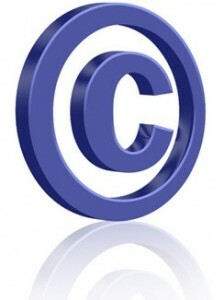 If you have any questions or concerns about your website's copyright liability, call me for a consultation. I'll be happy to help. I'm really pleased to announce the launch of a new project I've been working on for the past few months. It's called Theatre Producer Academy, and it's where producers can learn the craft and business of the theatre. In my more than 30 years working in the theatre as a producer, consultant and lawyer, I've helped countless producers and their projects go from concept to successful production. Now, I've created this 19 week online course to teach producers exactly what they need to do to find, develop, finance and produce plays and musicals. Whether you’re a playwright thinking about producing your own material. A member of an acting company, or someone who just loves theatre, and wants to produce plays and musicals that enlighten, entertain and inspire audiences, you recognize that you’re looking at a major undertaking. It doesn't matter whether you're a non-profit, an educator or a commercial producer, you need to learn the art, the business, and the process of producing live theatre. The program officially launches on Thursday, September 22nd… but I've created a special, pre-launch mailing list whose members will be invited to take advantage of a special early-bird discount. So, if you or someone you know is interested in producing theatrical entertainment, don't wait to visit TheatreProducerAcademy.com. Watch the introductory video, and sign up.